The South African Government’s second denial of a visa for the Dalai Lama causes Archbishop Desmond Tutu to issue words of frustration and disillusionment with current government, recalling the lack of rights during the apartheid regime. Archbishop Desmond Tutu, visibly shaking with anger, compared the South African government unfavourably with the apartheid regime and threatened to pray for the downfall of the African National Congress (ANC) yesterday after the Dalai Lama said he was forced to pull out of Tutu's 80th birthday celebrations because he had not been granted an entry visa. "Our government is worse than the apartheid government because at least you would expect it with the apartheid government," Tutu told a press conference in Cape Town. "Our government we expect to be sensitive to the sentiments of our constitution." In a tirade that stunned South African journalists, he went on: "Let the ANC know they have a large majority. Well, Mubarak had a large majority, Gaddafi had a large majority. I am warning you: watch out. Watch out. "Our government – representing me! – says it will not support Tibetans being viciously oppressed by China. You, president Zuma and your government, do not represent me. I am warning you, as I warned the [pro-apartheid] nationalists, one day we will pray for the defeat of the ANC government." Tutu had invited his fellow Nobel peace laureate to deliver a lecture to mark his milestone birthday in Cape Town on Friday. Officials from the archbishop emeritus's office started the visa application process in June  but met a series of bureaucratic delays. On Tuesday [4 October 2011] the Dalai Lama's office finally gave up on the application for the 76-year-old. "His holiness was to depart for South Africa on 6 October, but visas have not been granted yet," a spokesperson for the office said. "We are, therefore, now convinced that, for whatever reason or reasons, the South African government finds it inconvenient to issue a visa to … the Dalai Lama." Tutu said he was still struggling to make sense of what had happened. "I have to say I can't believe it, I really can't believe it," he exclaimed. "Wake me up and tell me this is actually happening here. It's quite unbelievable. The discourtesy they have shown to the Dalai Lama. The Dalai Lama! "The Dalai Lama, anywhere in the world, they have problems finding a venue that can contain the people who want him. He goes to New York and Central Park is overflowing. The discourtesy is mindblowing." Asked if he felt the Tibetan spiritual leader had in effect been banned from the country, Tutu replied: "To all intents and purposes, yes. 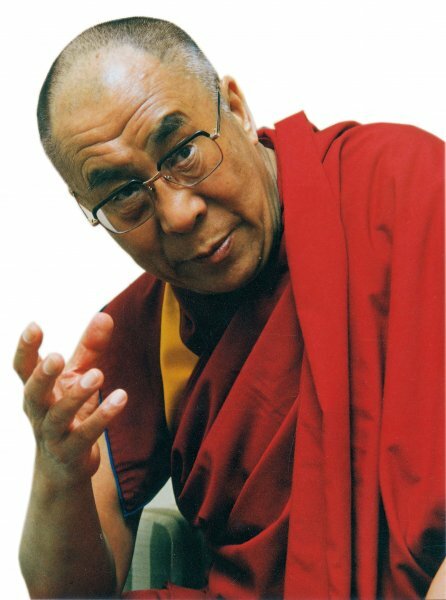 This is the Dalai Lama. Incredible. "Many, many people are appalled in many parts of the world, especially people who supported us during the struggle. They are weeping and saying, 'South Africa? It can't be.'" In response, the ANC urged Tutu to "calm down". Jackson Mthembu, the party's national spokesperson, said: "The African National Congress calls upon all South Africans to stay calm, including Archbishop Emeritus Desmond Tutu, and afford the government of South Africa the opportunity to take us all into its confidence around the Dalai Lama visa application and its subsequent withdrawal. "The archbishop knows it well deep down his heart, mind and soul that the ANC and its government cannot be equated to the repressive and divisive apartheid regime, which had never cared for the majority of the people of South Africa, Africans in particular." Mthembu described Tutu's comparison of the ANC with the apartheid regime, Egypt's Hosni Mubarak and Libya's Muammar Gaddafi as unfortunate and misplaced. He added: "The ANC has actually done contrary to the archbishop claims. The history of the ANC pre- and post-apartheid has been that of consultation and listening to all sectors and the views of those who might also be against the policies of the ANC. "We are appealing to the archbishop to calm down and work together with the ANC and its government, first, on the Dalai Lama issue and secondly, we appeal to the archbishop not to pray for the demise of the ANC-led government, but instead to work together with the ANC and pray for the ANC-led government to deliver a better life for all the people of South Africa." Tutu's daughter, Mpho, said the government's actions had not matched "what we dreamed we would be, who we hoped we would become as a country and as a people". Clearly overcome with emotion, she added: "It is with great sadness that we sit here." A candlelit vigil outside the South African parliament in Cape Town on Monday drew about 250 people demanding the Tibetan spiritual leader be allowed into the country. There was bitter disappointment on Tuesday morning when it was announced that the eight-day trip had been called off. Civil rights activists blamed the government. Ela Gandhi, who planned to present the Dalai Lama with a peace prize in the name of her grandfather, Mahatma Gandhi, said: "I'm very disappointed. We were looking forward to him coming and to presenting the award. I really feel the whole situation has been handled so badly. It's discourteous for a person of his stature to be told to wait for so long. For a person of peace to be treated like this is wrong." She added: "Everybody thinks this is because of pressure from China. It's very sad another country is allowed to dictate terms to our government. It's going back to apartheid times. I am ashamed of my own country." South African foreign ministry officials have consistently denied accusations they have been bowing to pressure from Beijing. Asked for his reaction to the Dalai Lama's decision, a spokesman, Clayson Monyela, said: "We don't have a reaction. He's cancelled his trip and that's it. We have not said no. We've not refused him a visa; the visa was still being processed. It's only on 20 September that he submitted his full paperwork. In some countries a visa can take two months. I don't know why people are criticising the government." The Dalai Lama visited South Africa in 1996, meeting Nelson Mandela, but was prevented from attending a Nobel laureates' conference in the country two years ago, when the government said his visit would distract from World Cup preparations. At the time, Tutu called the decision disgraceful, and accused the authorities of bowing to pressure from China. South Africa's official opposition has added its voice to the criticism of the stalled visa. Stevens Mokgalapa, shadow deputy foreign minister for the Democratic Alliance, said: "The inescapable conclusion is that the South African government has predictably strung the Dalai Lama along to make it impossible for him to plan his trip. That way it could avoid making a decision that would either upset the Chinese or upset millions of peace-loving South Africans and citizens around the globe. "But by delaying [the visa decision] the government made its choice: it allowed China to dictate foreign policy. This is a sad day for those of us who believe in a sovereign foreign policy based on ubuntu [a humanist philosophy] and human rights. It is not acceptable that the government has allowed a breach of this sovereignty by bowing to pressure from a foreign power." While the Dalai Lama is excluded, other leading international activists will join three days of birthday events. The U2 singer Bono is expected to speak at the launch of a biography, Tutu: The Authorised Portrait, in Cape Town on Thursday. Bono has also reportedly been invited to join former the US president Jimmy Carter, the former UN secretary general Kofi Annan, and the British businessman Richard Branson at a picnic at a vineyard on Friday. A public church commemoration will be held earlier that day.